These six companies caught our eyes at last week's Sustainable Brands conference. Here's a rundown of the businesses that are shaking things up and making people smile and dance. Babies are fresh. Clean. Pure. Except when spitting up, pooping, or eating… so they’re beautiful about 10 percent of the time… when they sleep. Outfits get messy so fast that some parents have resorted to just not putting clothes on their kids which is why there’s an abundance of naked baby pics.But when a baby absolutely has to wear clothes, say for a wedding or birthday party, it should wear Baby Hero clothes. These clothes are ethically made so you’ll be able to sleep at night. And if the baby is your kid, you’re going to need all the sleep you can get. The manufacturer, Assisi Garments, was founded by Franciscan Sisters as a non-profit rehabilitation program. The employees are underprivileged or disabled individuals. In a generous gesture, the manufacturer used its profits to create an HIV clinic, cancer treatment facility, centers for orphans, and a hospital for people with leprosy. Second, these clothes are cute. Seeing the adorable sheep onesie will leave you wishing all your friends had triplets so you could buy one for each. The good news is the outfit is way cute. The bad news is you’ll be heartbroken when baby burps brown out its diaper. Side note: If the person having the baby is super special, you can also give the gift of a gourmet meal to the family. Third, for every Baby Hero item you buy the company will donate a neonatal Survival Kit for a mother and baby in need. So far the company has given away over 1,700 neonatal kits. The kits are given to mothers in rural Pakistan where mothers give birth at home with little or no pre- or post-natal care. The kit allows mothers and babies to ward off infection and help the baby stay warm. The birth kit includes: 1 bar of soap, 1 clean plastic sheet, 1 sterilized razor blade, 1 string for the umbilical cord, 1 cord clamp, globes, 1 maternity pad, pictorial instructions, and a partridge and a pear tree. An antiseptic to keep the umbilical stump clean. Sunflower emollient to keep a baby’s skin from getting infected and to maintain body temperature. A mylar baby blanket to prevent heat loss. Thermospot stickers to monitor a baby’s temperature. And a click-to-heat warmer to keep a baby warm. How many runners have you seen jogging down the street with a yoga mat? Negative 10. The solution? A small and portable yoga mat to use when you’re on the go… enter YOGO. It’s so portable the Co-Founder even ran a half-marathon with the YOGO on his back to show how easy it is to take yoga anywhere and everywhere. You can toss YOGO into a backpack, purse, or suitcase... it can fit anywhere. The YOGO folds to one quarter the size of regular mats. Two straps keep it rolled when stowed. When unfolded, it’s the same size of a regular yoga pad. It’s made from biodegradable natural tree rubber and stays grippy even when wet (in case you sweat Niagara Falls during hot yoga). The mat folds on itself, just like yoga has you fold yourself, thus creating a deep personal bond with your mat. Also, a mat that folds origami style ensures that it stays clean and free of dirt, sweat and general grossness of the floor (unlike regular roll pads). Whenever you want to wash your own grossness off it, rinse it off in the shower and then hang dry it with its built-in straps. For every Restoration series mat sold, YOGO plants one tree in Central America. The company also supports Rise Yoga, a yoga and wellness education program for San Francisco public schools. I have bad news. Unless you are a duck, every day your routine of living life is destroying the earth and you should do something about it. The good news is it’s a relatively easy fix. Just plant a tree. Or a few trees. Or a forest (if you own a private jet). Did you ever read the children’s book The Giving Tree? Now you can create a whole forest of Giving Trees. You can even create a kingdom of trees, aka, a Treedom. But what if I want to plant a new building instead? Too bad. Planting new trees is beneficial because trees absorb CO2. Trees preserve the forest, environment, soil, and biodiversity. Trees are gentle and love everyone besides lumberjacks. They make sure landslides and mudslides keep their fun under wraps. And trees generate income for locals who sell the tree's fruit for income. In fact, a mango tree can produce up to 6 tons of fruit per year. So, planting trees doesn’t just help the environment, it also helps people overcome poverty. Treedom offers twelve trees to choose from. You can choose to plant trees that grow apples or oranges, or stars or hearts (according to this chart). The tree will be planted somewhere in the world by local farmers and will be photographed, geolocated, and published on your profile. You can also gift a tree by buying it and dedicating it to a special person. In the past three years the company has planted over 180,000 trees in Senegal, Cameroon, Malawi, Argentina, Haiti, Kenya, Italy, and Mars (j/k, scratch Mars). You can plant a baobab tree or a passion fruit tree in Senegal, an avocado tree in Cameroon, or an orange tree in Sicily. Go forth and spread seeds like confetti. The SunPort lets you plug into an outlet and get solar energy anytime anywhere. No panels required. At work? No problem. On vacation? You’re covered. At home? It’s cool. When you use a SunPort, you take energy out of the grid, then a solar farm puts the same amount of energy into the grid that you took out. This way your carbon impact is neutralized. An app on your phone keeps track. It’s a simple way to demand solar and makes solar energy available to everyone who has an outlet. The device is $60 for the first year of solar energy. Additional years cost $24. No contract or long term agreement required. The goodness doesn’t stop there. When you use this service, Plug.Solar donates to build solar panels and give free power to nonprofits. I know what my family is getting in their Christmas stockings. This company got a jump start when the founder Sean discovered some old soda fridges in the trash and turned them into microbe incubators. For many years when investors and partners toured the lab they saw the old fridges covered in price tags advertising special deals on sodas… sodas you might not want to errr, drink. In a recent TriplePundit interview with Communications Director, Freya Burton, she said LanzaTech treated its microbes like children. There weren't any baby monitors for the incubator cribs so workers had to check on baby microbes all the time to make sure they received everything they needed to survive and flourish in the soda refrigerators. One scientist named Loan was their nanny. She had to stand on a chair to reach the top of the machines and manually take samples of 100’s of microbes every day to make sure they were doing okay. Due to the LanzaTech’s loving parenting of microbes, its efforts were a success and it now has a large lab, an analytics department, and is considering writing a book on parenting. Today the company is prepared to meet energy challenges head-on. Energy demand is growing. CO2 levels are rising. 1.4B people lack access to energy. Not easily intimidated, LanzaTech mounted a strong offense by developing technology to recycle carbon waste and use a clean method to create more fuel and other chemicals. The process works like this. LanzaTech’s microbes are hungry little beasts. No divas in this group. They indiscriminately chow down on a five course dinner of the nastiest gases like it’s a platter of filet mignon. Then they turn into little microbreweries and pee out “beer.” It’s a pretty cool trick. We all know that beer is good stuff and needs to be saved. The ethanol “beer” is then used as a clean gas or for chemicals that make products you use every day such as plastics, nylon and rubber. Attention nerds, for a more detailed description, watch this. What’s in it for Mother Nature? 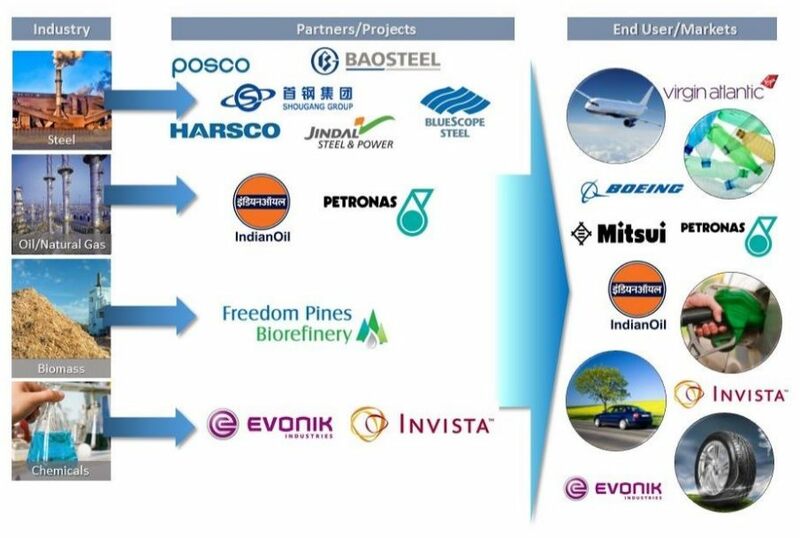 In April 2015 Taiwan’s largest integrated steel maker, China Steel Corporation, approved a $46M capital investment in a LanzaTech commercial ethanol facility. LanzaTech is quite popular as it has partnerships in 14 countries. This is the future, people. And it looks beautiful. Embrace it. When chefs order ingredients from national distributors, the food often travels an average of 1,500 miles. Also, 70 percent of the food cost comes from transportation, storage and handling. Enter Servli - an app that allows chefs to discover local suppliers and order smaller inventories which means fresher food at a lower cost to the chef and the environment. This video explains it perfectly. Chefs are stunned and ask, “There's no universal way to order from multiple suppliers?” To order supplies, executive chefs have use an assortment of online orders, phone calls, and text messages. Every new chefs’ reaction is “Whaaaa? What's next – a carrier pigeon, smoke signals?” Thank goodness for Servli, it saves restaurant operators time and money. Now chefs can count inventory and place orders much faster.